Have you reserved a wedding venue, only to find that it doesn’t have the facilities you need? Before you buy it, consider rentals! Outdoor venues such as parks may only have the bare minimum. Indoor spaces such as event centers often have drab decor and poor lighting. If your venue isn’t equipped with lighting, decor, or restrooms, then we can help! Portland, Oregon rental companies have what you need for your wedding ceremony and reception. For outdoor wedding venues, we have the perfect tent or canopy in any size. Not to mention tables, chairs, pipe, and drape. Lighting can be an issue indoors and outside. Poor lighting makes it difficult to see and is certainly less than flattering for photos. Our rental experts have the ideal lighting for your venue space. Even if your wedding theme has a unique style or color scheme, you’ll find lighting to fit it perfectly. Portland rental companies have everything you need for your reception too. From bars to dance floors to china and glassware, they’ve got it. You can also rent audio and visual equipment, and don’t forget the restrooms! Many venues don’t provide restroom facilities. Even if they do, they might be less than ideal for you and your guests. We have classy portable restrooms complete with sinks, vanities, mirrors, and counter space. Whether you want vintage, rustic, or modern decor, we have the perfect setup for your wedding day. We even offer delivery, set-up / take-down services, and on-site support to ensure things go smoothly. Whatever you need to rent for your wedding, we have it. Whether your wedding is large or small, we have what you need. So check out our amazing Portland, Oregon rental companies today, and find what you need to make your wedding truly stunning! 6360 NE Martin Luther King Jr Blvd. Providing full service, award-winning lighting production for special events of all kinds. We approach every wedding as a custom, original design….even if it’s just a few uplights, we want to make it as unique to YOU as we can. We take great pride in tying in your colors and other themes to our approach, and in making good venues look fantastic and great venues look even greater! And, we do it without making your life difficult: You can just enjoy your day, knowing that the lighting will be stunning! It starts with a promise… A promise to make your wedding unforgettable. 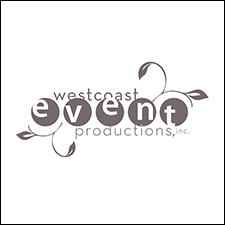 West Coast Event Productions is Portland’s premier event planning, design and rental company. We are an inspired team of event planners, designers and technicians committed to developing innovative solutions for weddings and special events. Danner & Soli specializes in vintage and unique wedding and event rentals. Serving the Oregon Willamette Valley, from Portland to Salem.